Sami Jankins: Editor of the Tiny Tim Literary Review. Why did you start Tiny Tim Literary Review? I spend a lot of my time looking for what isn't out there. After college I created a non-profit that encouraged access to arts programs for teens and young adults with chronic health problems. Now that I've graduated from graduate school, I feel like Tiny Tim isn't quite going back to that idea, but instead retooling...and redefining the purpose of how I can accomplish the encouraging of the arts for people with chronic illness or disabilities. While the arts is a great means of expression for the disabled populace, it's not always an entirely welcoming place. I guess I've always tried to be a bit defiant to naysayers to show that disabled doesn't mean that we can't create and do awesome things, but we're doing awesome things regardless - it's not that "it's awesome because someone disabled created this." This is why I decided to name it Tiny Tim. It's tongue-in-cheek about the inspirational disabled trope. I want this review to be authentic and that includes the full spectrum of the human experience. It doesn't just have to focus on disability narratives, it can be an ancillary aspect to a piece. The arts are often the only place people are exposed to people not like themselves and I wanted to provide more visibility for medical and disability narratives. The more, the better. How does your publication differ from other literary magazines focused on disability? I know some focus on specific disabilities whereas we are kind of welcoming to anyone. I can speak about the difference between other health magazines. I've been fortunate to be published numerous places, but the pieces that were always easiest to place were on dating or being a twentysomething. A lot of general health-based online magazines want pieces on how people are overcoming the odds, what they do to make their disability easier (vitamins, yoga, etc), and there are definitely a lot of parent narratives about their children who have disabilities. It's easy to place those types of work. When it comes to a critique on the medical system or the rawness of how not pretty disability can be, it can be more challenging to place. What's great is I notice there are other lit magazines popping up trying reach these groups that don't fall within mainstream neutralized disability stories, and that's awesome! I've seen great work get rejected because an editor couldn't understand the structure of a piece from someone who is neurodivergent. Those aren't the kinds of things that should be altered. I think those are the works that are the most exciting. Why are we trying to fit everyone into the same literary box just because it's different? I think other places are catching on, but mostly when I started this I noticed a lot of people asking questions of where to place work that I wanted to see read by as many people as possible. Medical professionals will also have a place within your publication. What factors were behind that decision? Yes! I'm very excited about this. I wanted to create a duality in the spectrum of health, disability, and overall medical narratives. I was always very interested in books by Atul Gawande or Oliver Sacks. It was unique for me as a patient to read the flipside of the experience. Since a patient journey can be frustrating, it can be easy to assume that doctors are either these gifts or roadblocks in our lives. It's easy to forget they are fallible humans too who have a great deal of responsibility upon them. I researched a lot of film and TV portrayals of doctors in graduate school that really illuminated the aspect that medical professionals as a whole are also so often reduced in public portrayal. Again, if people assume all medical professionals are like what they see in movies, it's rather reductive. Reading Paul Kalanithi's memoir at the end of my MFA program solidified for me that there is a great need for the full medical experience to be included in the entire range of the health narrative spectrum. I hope poetry from a patient perspective juxtaposed to a nonfiction piece by a nurse will help destigmatize the disability aspect while humanizing the sometimes sterile view of those practicing medicine. What does your ideal submission look like and do submissions have to have a disability-related element? The submission does need to have some tie to disability, health, medicine, mortality, etc. Again, the health aspect doesn't need to be the main element. There isn't really a specific ideal submission. I hope to include pieces that may have unique structure to them. Above and beyond it just needs to be solid work. I'm looking for work that people put their hearts into. By no means do the stories have to have a specific message to convey or somehow be wrapped up in a bow. There doesn't need to be a moral to the story because sometimes those moments just don't work out that way in real life. Authenticity and heart are the two big important factors. While we do light editing, we want pieces that are generally complete without much need for further input. We're looking for writers who have an opinion and something to say. Passion tends to shine through. Do submitters have to disclose disability/neurodivergence status in the cover letter or biography? Why or why not? No. Again, we're also including medical professionals who may not have any kind of disability. Who am I to ask what someone's disability is? I've had people ask along with their submissions if they are disabled enough to be included. This generally makes me sad. I wonder who made them question that in the first place, and I'm not sure how I became the authority on disabled enough. We accept submissions that will get published under anonymous as well as a pseudonym. These are topics that can be challenging to write about, in order for it to see daylight, there needs to be anonymity to go with it, that's perfectly alright. Just frankly it's not my business what their health status is beyond what they wish to disclose. I want people to feel safe to submit great work. This isn't like applying for a job where the options are yes (you're disabled), no (you're not disabled or you're just saying you're not), or prefer not to disclose (maybe disabled?). It's not a trap. These are sensitive topics and we appreciate that. Who are writers (disabled/neurodivergent and not) you admire? I guess this is my mix of writers who have inspired me disabled or not. When I was in my senior year of college, I saw Spalding Gray:Stories Left to Tell. It changed everything for me. I never wrote actively before seeing that. I didn't realize that I could write in a way that could be so conversational. It spoke to me. Before starting graduate school I read a lot of Jonathan Ames. I'm also a huge fan of his screenwriting. Screenwriting is what I went to graduate school for and found Stephen Falk's attention to getting the details of mental health issues right more important than whether the viewer would continue to categorize his show You're the Worst as "funny enough" a bold thing to do. Emily Rapp Black was my professor for non-fiction throughout graduate school and has taught me a great deal about essay writing. Her essays are also some of the best I've read. Instead of just looking as an essay as something flat, I began to see the intricate weaving between dialogue, imported knowledge, description, and exposition that needs to take place. Writing started to feel almost like painting to me after a while, a delicate balance of many things. I hope to be as good of a writer as her someday. Karrie Higgins is one of the most outstanding and outspoken disability advocates that I feel more people should be paying attention to. Her writing is arranged in non-typical formats because that's just how her brain works, and it's an amazing brain at that. Her photos are equally effective and moving. I find Jillian Lauren's writing to be exceptionally raw and candid. I know that's not an easy thing to do, and reading her work and hearing her speak has pushed me to write outside of my comfort zone. Lastly Jennifer Pastiloff and her entire Manifest-Station, Girl Power You Are Enough, and other movements have been hugely influential to me. Where do you see Tiny Tim Literary Review five years down the road? I'd like to gradually expand beyond the the online presence and be more interactive with writers and the health community. I would like to hold workshops for medical professionals and disabled individuals to attend to work on finding their voice. Everyone has a story, it's just a matter of finding it and feeling like you have the right to own it and tell it. I also want to find a way to get audiobooks and books available for patients in the hospital. I know that stories were everything for me during my lengthy hospital stays whether in book or other creative format. However, unless a patient brings something with them they may not have access to that escape of sorts. I know some hospitals have general libraries for medical literature, but I think there is something worthwhile to having patient libraries, even if they are small. Long-term patients especially would benefit a great deal from it, and I'd like to help make that happen however possible with whatever medical facilities are interested. Provide access to stories, encourage the realization and power behind their own story, and hopefully have more people wanting to share their work. What advice can you give to someone hoping to get accepted into your magazine? I know how frustrating the process can be. Truthfully, we were only able to accept about 10% of the submissions we received. I encourage people to keep writing. Even if a specific piece didn't work for us, it might be placed elsewhere. Also, always submit for the future. I never want someone to feel defeated by a rejection. You don't have to be at a certain level to submit and get accepted. We have everyone from college students to professors to beekeepers. Write what speaks true to you. That's probably the best advice I can give. Is there anything else you want people to know about you or Tiny Tim Literary Review? I wanted Tiny Tim Literary Review to fill a void that I saw within the writing community. There's been a longstanding failure of including the disabled community or caring if disabled characters were even accurately portrayed. I hope this review acts as a branch of sorts. Who better to address how disabled individuals or health professionals are portrayed than the people themselves? As for me, I've spent a lot of time doing patient advocacy and being involved in a variety of patient communities. I'm also disabled. I've been told in my life that the arts aren't possible for people with disabilities. Idina Menzel was my "kid's wish" almost a decade ago. She told me if you can't find a niche for yourself within the arts, make one. It's something I've continued to try to do. While I do love publishing work of my own, I also like having outlets that work to encourage other people to share their stories as well. I hope that any accolades or praise that may come as a result of Tiny Tim is for the incredible writers whose work is being made available. I'm happy to take a backseat and let them shine. 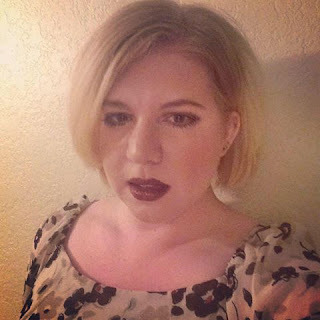 Sami Jankins, Editor-in-chief and Founder of Tiny Tim Literary Review says: “We can be found at https://www.facebook.com/tinytimliteraryreview/ and come mid-December our website will launch with the first on-line issue at www.tinytimliteraryreview.com. Submissions reopen on December 5th and close February 19th for our mid-March issue”. *Multiple Pushcart prize nominees, Fulbright scholars, Yaddo fellows, and individuals that if you like their work enough you can buy their already published books. *Appeared in The Bellevue Review, The Boston Review, Jezebel, Broadly, The Fem, Wordgathering, and Deaf Poets Society (along with so many other places). *College students, MFA candidates, college professors, editors for other reviews, doctors, and beekeepers who manage one of the oldest rare/used bookstores in DC.